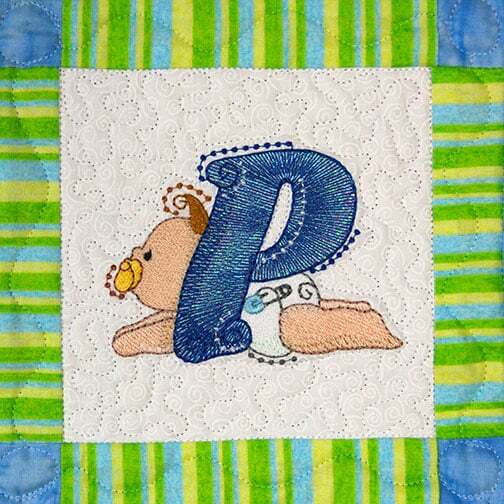 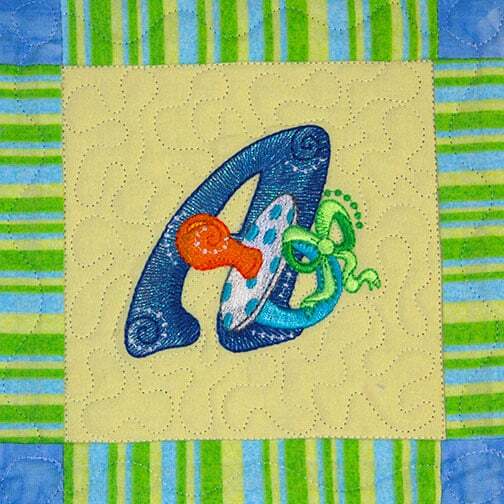 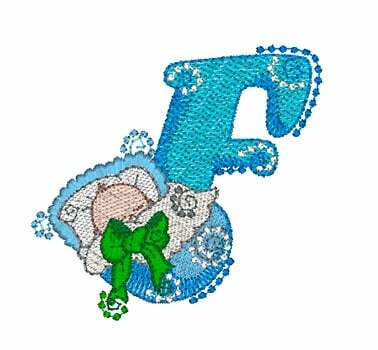 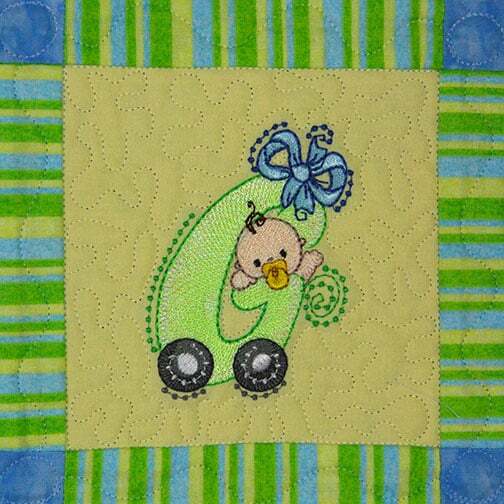 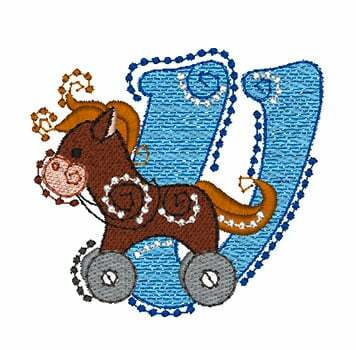 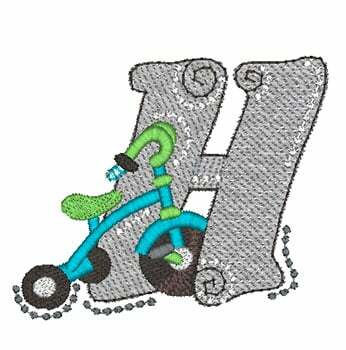 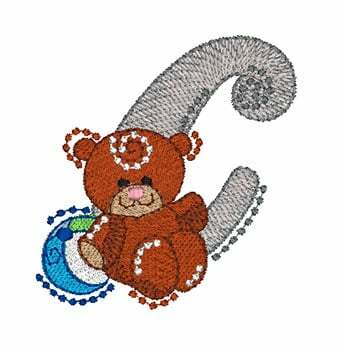 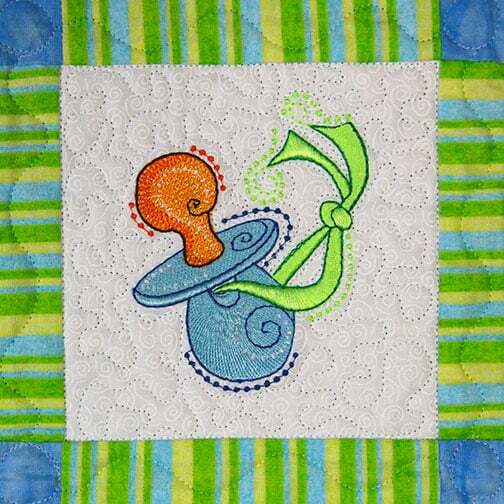 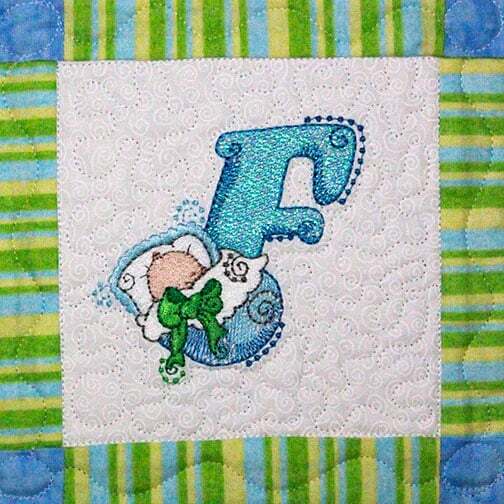 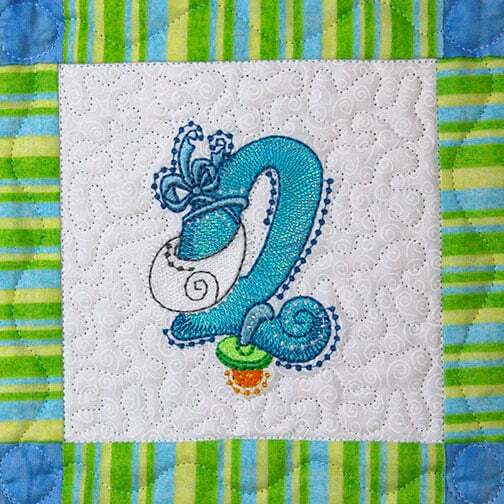 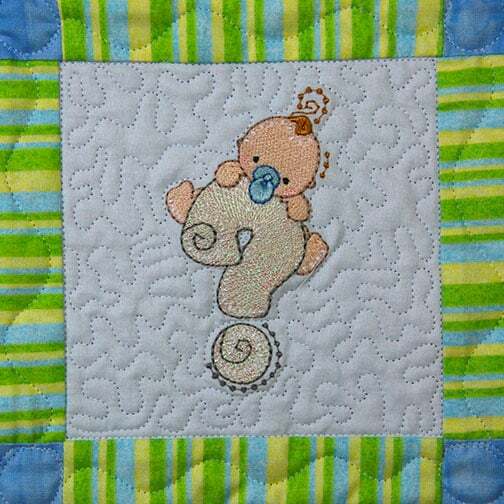 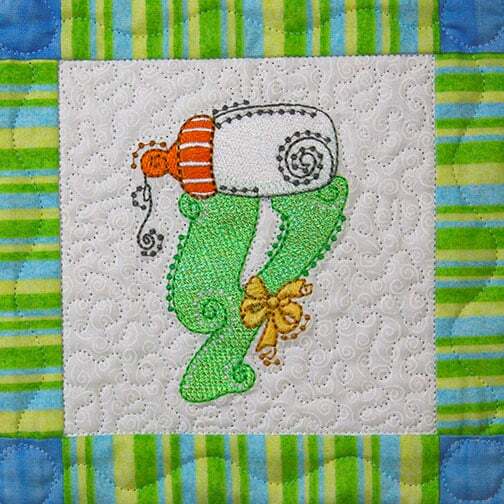 Mylar Swirly Baby Boy Alphabet is an alphabet collection designed for baby boys with swirls and the fabulous shine of Mylar Embroidery ®. 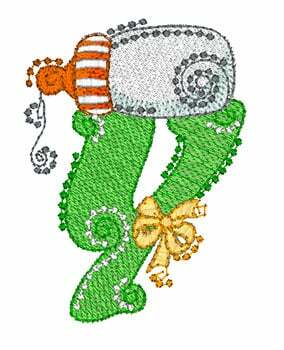 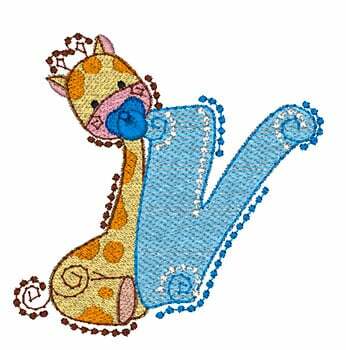 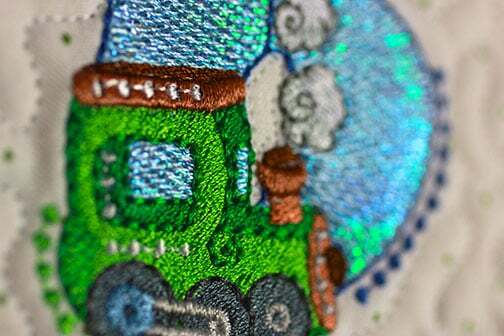 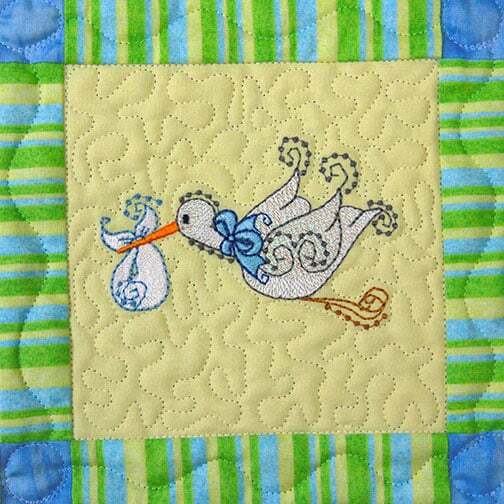 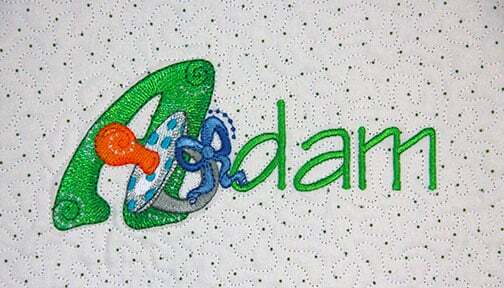 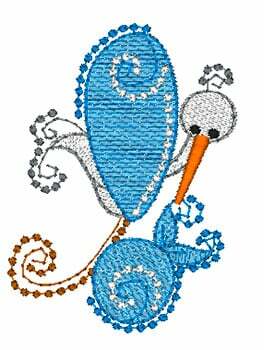 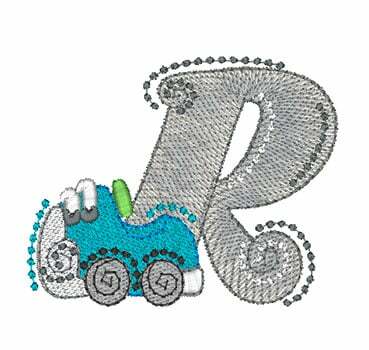 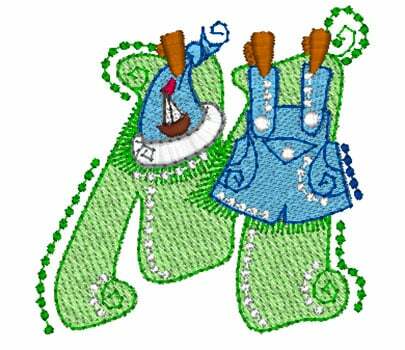 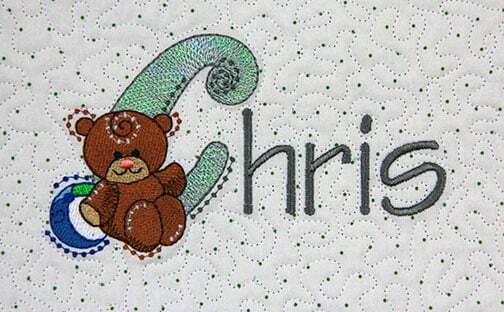 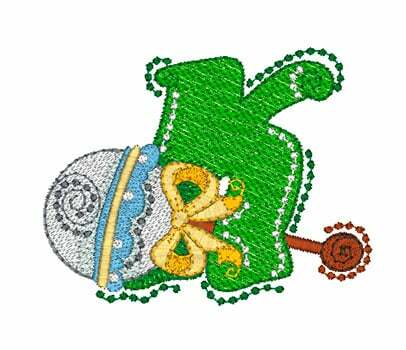 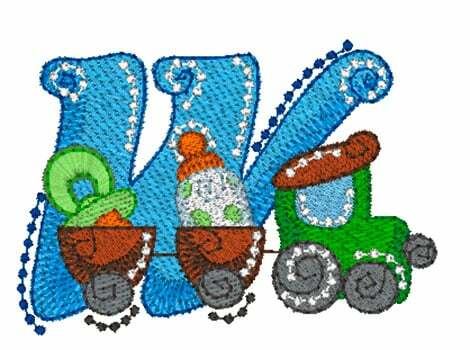 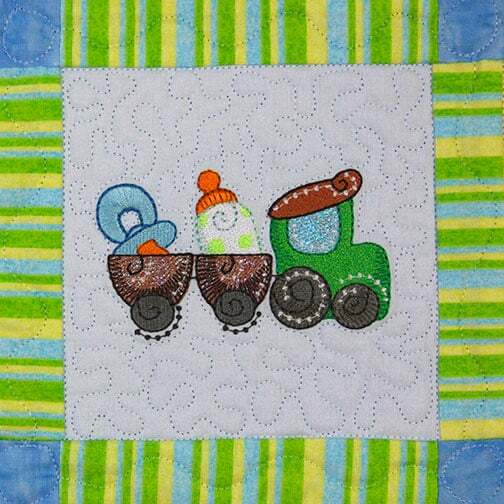 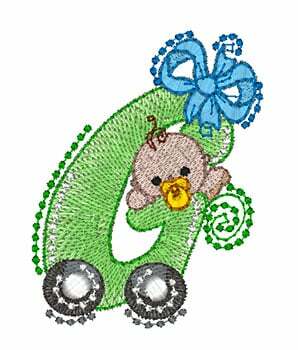 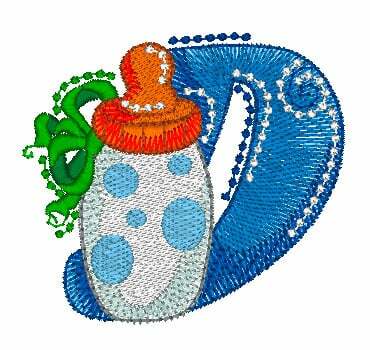 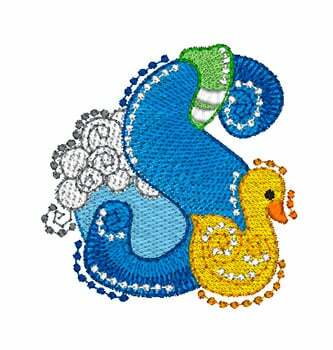 The entire alphabet, punctuation marks, a pacifier, toy train, bottle, bassinet, stork, and rattle make this machine embroidery collection exactly what you would expect from a baby boy alphabet embroidery collection. 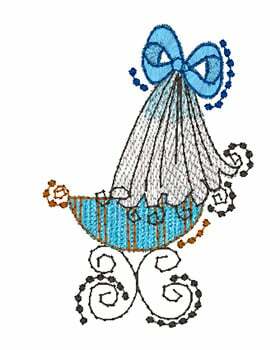 Bring yours home today.